Have a green thumb, not a dirty finger! You know it's time to water when the color changes from blue to white. Because you leave Sustee in place, it does not disturb growing roots. Sustee's award-wining product design complements the appearance of your plants and is available in white and green. Helps prevent withering & root rot - your houseplants stay healthy so they can clean the indoor air to keep you healthy! If you have more than one potted plant, get this better-value 2-pack. 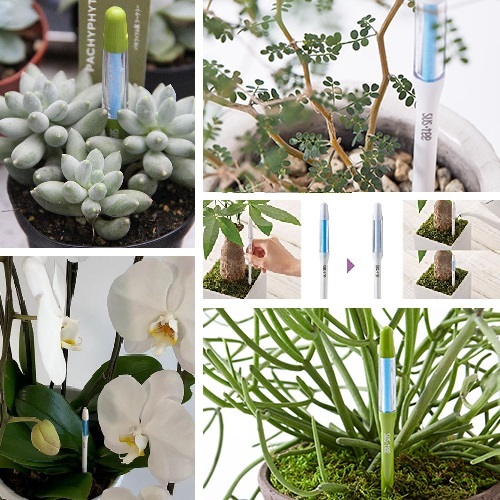 A white indicator means it is time to water your plant. After watering, Sustee absorbs moisture at root level, like your plant. As the level of absorbed water rises, the indicator gradually becomes blue. It takes from 10-30 minutes to turn completely blue after watering, but the time varies by the type of soil. Sustee’s refillable/replaceable cores have a life of about 6-9 months, depending on the type of soil. 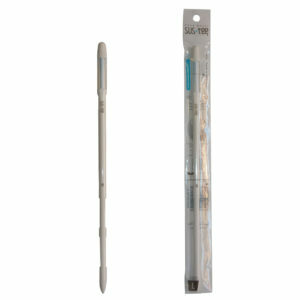 Core refills are available in 2-packs by Sustee size. Click here for refill information. Sustee’s patented technology measures the relation between soil moisture suction and soil moisture content, using the soil moisture retention (pF) curve. Like a plant, it absorbs water from the soil and allows it to evaporate through transpiration holes near the display window. Sustee was tested during development and proven effective by professional growers of orchids, roses and begonias. 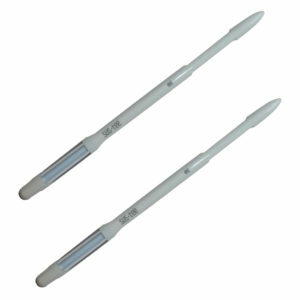 The pF curve between 1.7 and 2.3 is the most effective water moisture level for plants. Below 1.7 root rot is likely and above 2.3 the plant starts to dry out and send roots deeper to find water. 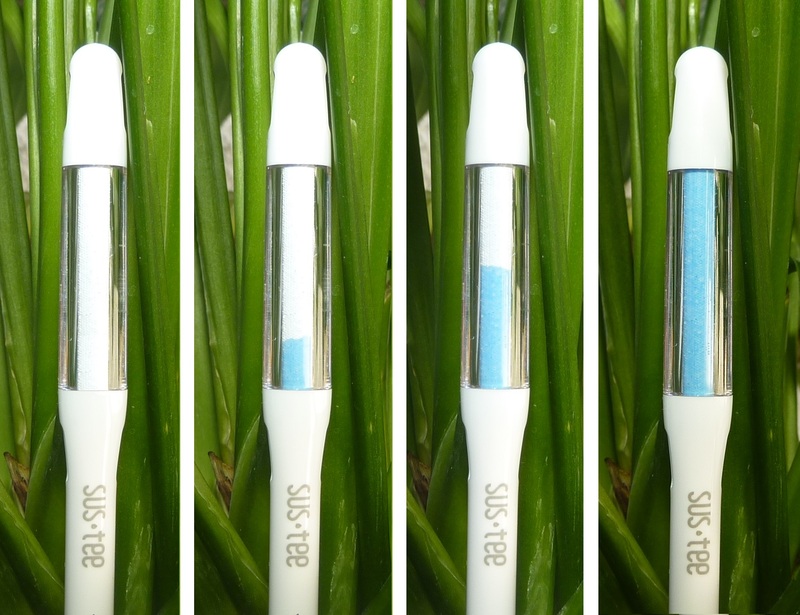 Sustee is designed to gradually turn white as the soil approaches a level of 2.3, showing you when the plant really needs water to support healthy root development and helping you to avoid watering too frequently. As the soil dries out, the Sustee will fade back to white, letting you know it is time to water again. 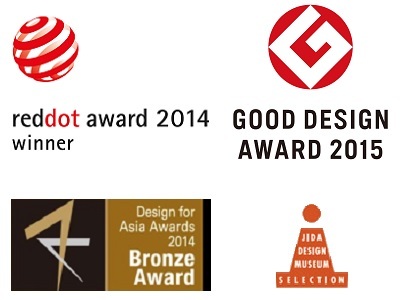 for excellence in quality and design. Product design is by Tetsutaro Nakabayashi, Tokyo. 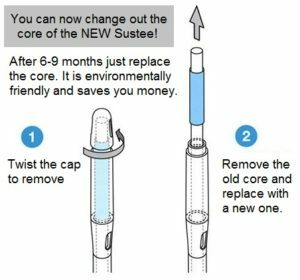 You can now purchase small, medium and large core refills for “Refillable” Sustee models. The inner core of a Sustee wears out after about 6-9 months of use. Now you can keep the outer polycarbonate body and simply replace the core. It’s a more affordable option and better for the planet.